Technology has finally evolved up to the point where the much anticipated augmented reality and virtual reality headset is available to the salivating masses. Like smartphones, tablets, PCs and (literally) any other technological gadget, they come in different shapes, sizes and prices. Ultimately, they all have the same goal; to connect us to a new virtual reality. Virtual reality is something that has been a result of our ever growing technological fantasies. Our pursuit of the ultimate gaming experience. Looking to battle giant creatures, enjoy the thrills of space or just move to other planets? With virtual reality, you can do that. The Oculus Rift was the first to really bring virtual reality gaming right to our eyes, but things started off way before that when Nintendo introduced the Wii in the 2000s, which led to motion gaming, which led to Play Station and Xbox taking motion gaming to a new level and kick-starting the virtual-real-life gaming experience. Then followed Google Glass, which gave us the first real glimpse of virtual reality – but the first Google Glass never really made it to the public. For Oculus, there were challenges that were crossed, and tough decisions are taken that landed the startup dream project of Oculus Rift. Virtual Reality was a challenge conquered by the makers of Oculus, and now the boundaries can be stretched taking the experience beyond our present fantasies. The Oculus Rift headset, for instance, has single-handedly revived the dreams of hundreds of companies and entrepreneurs worldwide. Let’s have a quick look at the best of them and how they stack up. Blame it on Palmer Lucky and his investors at Kickstarter. Blame it on Facebook who bought it for $2 billion. But the madness was started by this VR headset. This equipment plugs into the DVI and USB port of your beloved PC and tracks your head movement to provide 3D imagery on its stereo screen. With a resolution of 2160×1200 and working at 233 million pixels per second with a refresh rate of 90Hz, this dude is serious stuff. The VR is ready for shipping however the controllers will be arriving later. The Oculus Rift, the virtual reality headset allows video games lovers to step inside the virtual world and satiate their gaming spree. The journey was not very simple. The CEO of Oculus, Mr. Brendan Iribe had an ambitious startup business plan chasing virtual reality – something that has been discussed, debated and dreamt on extensively over the last two decades. Oculus’ dream journey started with a crowdfunding project on Kickstarter. There were other startup devices that explored virtual reality before Oculus, but the devices did not really make the cut failing on a number of fronts like synchronization and exhibiting latency. Oculus indulged with real-time and avid gamers loved the Oculus Rift. To seal the success of the Oculus Rift headphone, Facebook announced a $2 billion purchase tag for the flagship innovation of Oculus. Where does Oculus Rift score? In any of the traditional gaming models, the most difficult part is adjusting the latency – you just cannot have a delay in the user feedback and machine recognition. Latency is a problem that has been bugging Microsoft’s Kinect even today. In many ways, Oculus Rift is exactly the technology that the gamers were longing for. With an ultra-low latency and 360 degrees of head tracking, the Oculus Rift allows a seamless look around the virtual world very similar to real life. It is thrilling to observe how small head movements are tracked by the Oculus Rift headset in real time, and delivering an intuitive VR experience. Made in collaboration with Valve, the HTC Vive is due to hit shops in April 2016. If you remember, Valve is the maker of that phenomenon called the HHalf-Life HTC Vive allows one to plug into the huge ecosystem of Valve’s gaming universe. With 70 sensors packed to provide a 360 degrees track, this VR headset is a runway burner. It also has a 90Hz refresh rate to keep down latency, which is very important to keep down motion sickness. However, the key to success of this VR headset is its revolutionary Lighthouse tracking technology, which enables the user to move around with the headset on. It might need extra sensors for the surroundings but it is still awesome, nonetheless. The Sony PlayStation VR is coming. With a 5.7 OLED screen, providing the user with extremely low persistence, which would mean almost no motion blur, and a refresh rate of 120Hz, this piece of equipment, is an example of extraordinary engineering. 120 fps gaming is now a reality. Latency issues have been solved by incorporating a new 18ms reading. 6 LEDs now aid the positional awareness of the headset. While, by Sony’s own admission, it is still some time away from actually competing, with pricing as low as $399, this set is certainly is going to have its own clientele. A quite a big one too. Plush faux leather, smartphone clamping mechanism, bundled GLIDE Bluetooth controllers, the attention to detail in the Freefly VR systems is impressive. The controllers are slicker than most accessories in its class and also includes a mini joystick with control pads. However, iOS 9.2 update has ensured that it remains limited in its abilities. The build quality is robust, is extremely lightweight and with holding straps to help you through those long hours, the Freefly VR headset ensures a great gaming experience. However, do be careful about being bleary-eyed and dizzy headed after a long session. 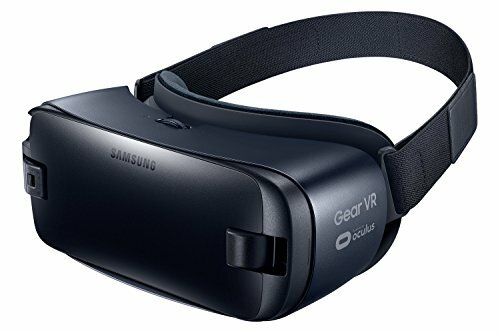 The incredible art of merging frugality with technology at an unbelievable price point, The Samsung Gear VR is almost Oculus Rift but lite. It does use the Samsung smartphone processor and display. You have to use a Samsung smartphone to be able to use it. You simply have to slot the handset in front of the lens and use its Super AMOLED as its screen. The image is grainy but using the Gear comes with its own charms and benefits. There are a huge store of games and added features plus a whole marketplace of VR video content called Milk VR and probably the best content that is there. But it all boils down to its ludicrous pricing. At $99, we have a steal. This is an underdog in the competition, silently creeping up the popularity charts. It is compatible with larger phones such as iPhone 6 Plus and OnePlusOne. The Homido offers adjustable lenses and provides the user with a handy 100-degree field view. Moreover, it also has alternate settings for those with spectacles: far-sighted, nearsighted and normal vision. The Homido VR Headset has a screen compatibility range of 4” to 5.7”. One can enjoy the VR headset hands-free and the biggest advantage one gets whilst using a Homido VR is that the headset does not allow light to sneak in and flood the view. One of the earliest VR headsets and an impressively built architecture, Merge VR headset is certainly a piece of equipment to have. Made from lightweight and flexible foam, the makers of Merge VR claim that the phone slot can accommodate any phone built in the last two years. User controls and a dual lens is handled by two sliding switches at the top of the goggles. Pushing the buttons down will make the touch-friendly, conducive widgets fill the screen. This does give the user a sense of control though it is hardly immersive. At this price point, the Merge VR Headset is a great buy. The enthusiasts are certainly delighted by its presence. With a screen compatibility range of 4” to 6” the Pasonomi VR Headset is one of the goofiest looking headsets around by virtue of its black and white ABS plastic case. There is a solid feel to the glass even though it weighs a puny 295 g and the non-magnetic clasp shuts firmly. 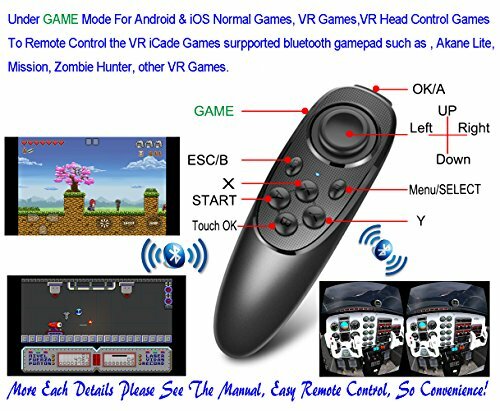 It comes with a Bluetooth controller since the device does not have any buttons on itself. There might be an issue to correctly place the field of vision in focus all the time, though the lens is adjustable individually. The Pasonomi VR Headsets is not exactly neither the cheapest nor the best in performance. However, at this price point, it surely will be a hit. 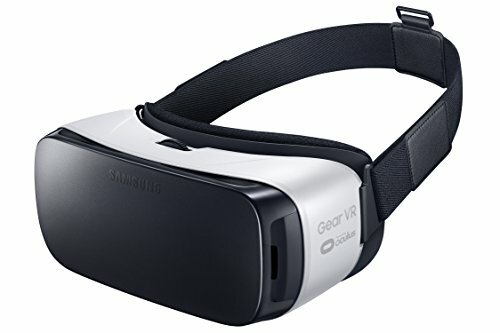 With a screen compatibility range of 4” to 6” this VR Headset can accommodate most smartphones. However, for smaller phones, an additional slot needs to be added. This headset is an attention to detail equipment all the way. It comes with 2 spare nose pads, Bluetooth remote batteries for Android and a microfiber cloth to wipe the lens clean. There is no need to manually adjust the lenses though focusing to a field of view with both the eyes did seem to be a concern at times. It is lightweight at 400g and comfortable to wear. However prolonged use may make the nose a little sore. So basically here is how it works. Strap a smartphone in a cardboard box and strap it around your eyes. Sounds funny. Yes. Works great. Absolutely. This may just be the answer to our low-cost VR search. Our smartphones have all the necessary gyroscopes and sensors to track our head movement. So why not use it as bait. Google Cardboard is indeed an innovation the world needs. 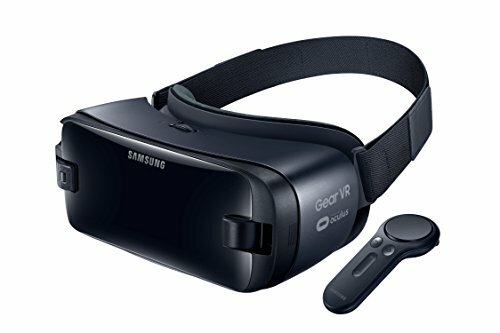 This is one of the best buys of VR that you could get if you are stuck on a tight budget and want to yet experience VR the way it is meant to be. Where else can you use Virtual Reality? For one, how about using them in movies? Yes, Virtual Reality hardware can now expect an introduction in non-gaming platforms like filmmaking, vocational astronomy courses, and many other entertainment and educational platforms. Oculus and Facebook have thrown out a lot of speculations too. There were speculations about what the result would be, and whether the world is set to experience FarmVille on a 360-degree version. All that seems unlikely as Oculus states that the partnership is aimed to help them secure the project and not just further Facebook’s interests. First person gaming was probably the prime motto of virtual reality devices. There are instances when a character in a game is changing perspective, and it can be captured and experienced flawlessly with the Oculus Rift headset. One can look around the virtual eco-space, run, move with a 360-degree perspective, feel obstacles and do a whole lot more. The feeling is perhaps similar to that of time traveling of Matrix; yes, devices like the Oculus Rift headset will even let you dodge bullets. 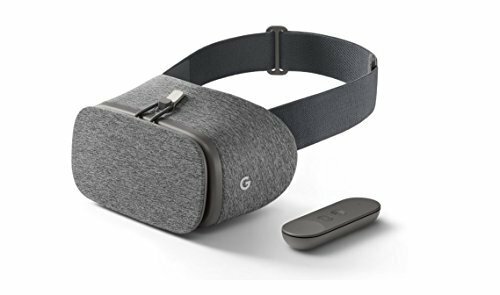 While you might not want to purchase the Oculus Rift that can cost as high as a whopping $600 – and undoubtedly offers the best VR experience – you can easily get hold of the Google Cardboard.